Rising from the ashes of the seminal Joy Division in 1980, Manchester’s New Order have since carved out an enduring legacy of their own, applying the DIY attitude of their early post-punk days to anthemic, yet challenging dance music. Ian Curtis committed suicide in 1980 on the eve of Joy Division’s first American tour, and the group’s remaining members were left adrift. But by 1981, buoyed by a first visit to New York’s vibrant dance music scene, Bernard Sumner, Stephen Morris, Peter Hook, and new member Gillian Gilbert had returned as New Order with their debut album Movement and the club-influenced “Everything’s Gone Green” and “Temptation”. New Order’s early cuts were vibrant, and rhythmic and featured former guitarist Sumner as lead vocalist, but it wasn’t until 1983 and the release of album Power, Corruption, and Lies and single “Blue Monday” that the group’s singular sound crystallised. “Blue Monday” was strikingly electronic, with Stephen Morris abandoning his drum kit in favour of thumping drum machine patterns, and dramatic synth washes padding out Sumner’s sharp guitar lines. Its striking sleeve design by long-time collaborator Peter Saville helped make “Blue Monday” the best-selling 12” of all time, though the physical product’s material costs notoriously meant that New Order and their label Factory Records lost money on every copy sold. New Order’s involvement with Factory’s Hacienda club, which opened in 1982, was to be characterised by the same concoction of musical achievement and financial disarray until its closure in 1997. The musical template New Order established in 1983 was to see them through a series of fruitful albums, from the breakbeat-led Brotherhood in 1986, through to the balearic Technique in 1989. 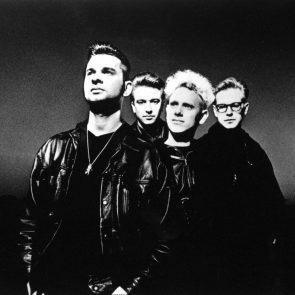 After 1993’s Republic, the band pursued solo projects, and have twice since reformed after hiatuses. Their current line-up, in which Phil Cunningham and Tom Chapman have replaced Hook, continues to tour internationally and New Order’s legacy has increasingly been acknowledged in exhibitions far from their Mancunian roots. Perhaps New Order’s finest moment, alongside their 1987 compilation Substance, is “World In Motion”, their anthemic musical contribution to England’s 1990 world cup campaign, which features a rare rap from football legend John Barnes alongside the group’s iconic synth sounds. 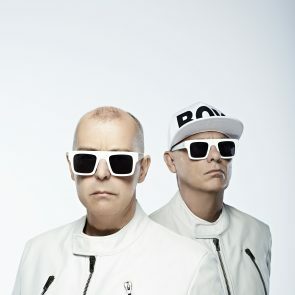 The Pet Shop Boys and New Order have made it to the FINAL ROUND of the EB Live Battle. Vote for the ultimate archived performance now! Watch more than 40 minutes of the legendary Mancunian act live in 2012, from the Electronic Beats-sponsored performance.